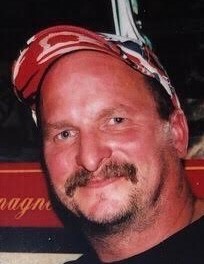 Age 53 of Elwood, formerly South Holland, passed away unexpectedly Sunday November 18, 2018 at his home. Born June 15, 1965 in Roseland, Gary Peter is the son of Arlene (nee Mackiewicz) and the late Henry Wroblewski. He was raised and educated in South Holland, and graduated from Thornwood High School. Gary worked for ITS (In-Terminal Services) in Harvey as a Lead Man. Gary loved NASCAR and was a huge Dale Earnhardt fan. He also enjoyed going to local racetracks including Raceway Park in Blue Island, Illiana Motor Speedway in Schererville and Grundy County Speedway in Morris. He was a big Chicago sports fan and liked watching the Blackhawks, Bears and White Sox games with his kids. Gary was a proud father who looked forward to attending his children’s various activities. Survivors include his mother: Arlene Wroblewski of Elwood; three children: Zachary Wroblewski of Crest Hill, and Sarah and Adam Wroblewski, both of Elwood; two sisters: Denise Charles (Ken Jaros) of Hegewisch, Janet Wroblewski (Richard Roberts) of Monee; aunt and uncles: Mary (Al) Pizzato of Manteno and John Wroblewski of Minnesota; the mother of his children: Suzanne Swanson of Elwood; his long-time friend Russ Bunde, and his beloved beagle: Marty. Per the family’s wishes, cremation rites have been accorded. The family will receive friends on Thursday November 29, 2018 at Saint Rose Catholic Church, 604 South Kankakee Street, in Wilmington from 10:00 a.m. until the time of Mass of Christian Burial, 11:00 a.m. Rev. Sebastian Gargol will preside.